2016 was a good year to be a REALTOR®. REALTOR® incomes grew 8 percent in 2016, boosted by a higher transaction count than in 2015, according to the latest National Association of REALTORS® (NAR) Member Profile. The median REALTOR® income last year was $42,500, up from $39,200 in 2015, while the median gross income in REALTOR® households was $111,400, up from $98,300. Earnings ran the gamut: 24 percent of REALTORS® made more than $100,000, but another 24 percent made less than $10,000. Incomes tended to rise proportionate to experience, with REALTORS® in the business 16 years or more earning a median $78,850 with 15 transactions (the majority from referrals or repeat clients), and REALTORS® in the business two years or less earning a median $8,930 with four transactions. Licensed sales agents raked in a median $31,670, while licensed brokers took home a median $69,640. “Limited inventory and rising prices were large factors affecting the real estate market across the country over the last year, so it is no surprise that these same market conditions were cited in the survey as having the largest impact on REALTORS®’ ability to help their client complete a transaction,” Yun says. The NAR Member Profile represents 1.2 million REALTORS®, or members of NAR. Membership increased from 1.16 million in March 2016 to 1.22 million in March 2017. The majority of members are female and/or sales agents. More than half of members work for an independent company, and most are independent contractors. The typical REALTOR® has been in the business for 10 years, with 28 percent of REALTORS® last year having less than two years of experience and 20 percent having less than one year—both up considerably from 2015, signifying more members new to real estate. 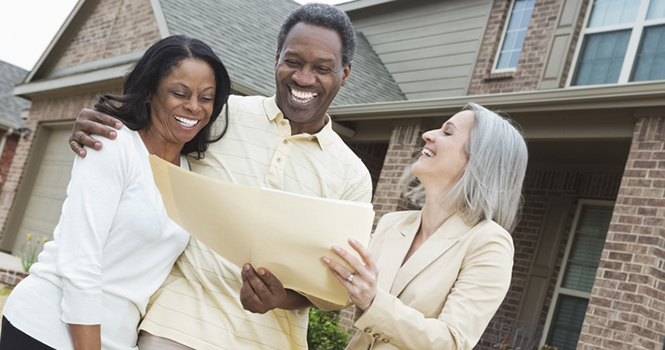 The median age of a REALTOR®, however, is 53, and 30 percent of REALTORS® are more than 60 years old. Four percent are less than 30 years old. The typical REALTOR®, all told, is a 53-year-old, college-educated female homeowner, according to the report.